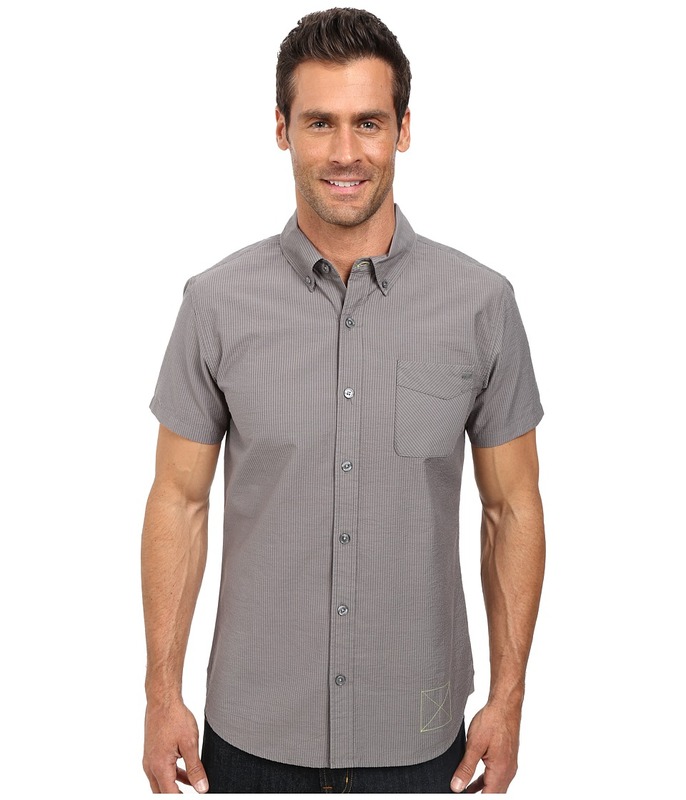 Short sleeve button up shirts tend to have a bad rap in men’s style. It’s a damn shame because they can look incredibly stylish when worn well. As with any garment the most important factor in wearing it well is the fit and the short sleeve button up shirt is no different. 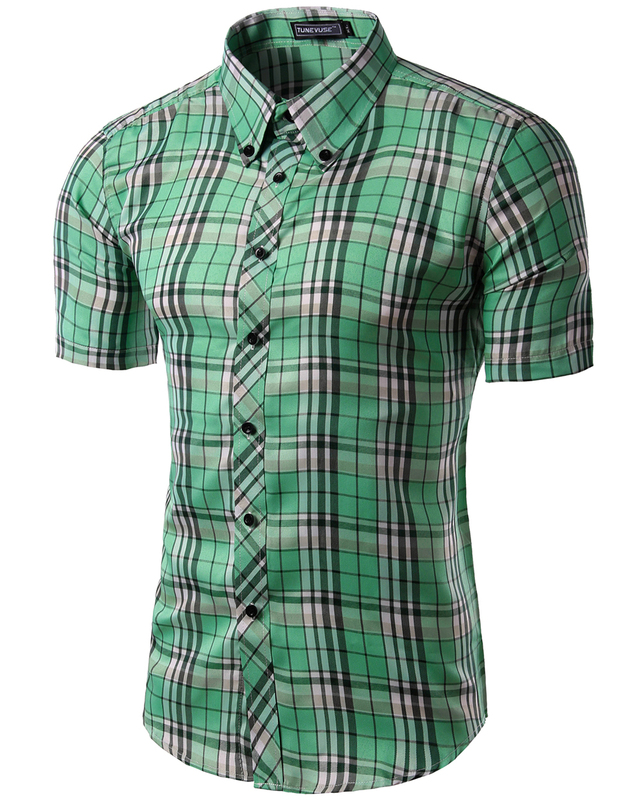 A good fit for a short sleeve button up shirt means having the sleeves hit you right around the mid bicep area (just like a well fitting t-shirt or polo). The shirt should also not be too baggy through the midsection. A streamlined or slim midsection is what you want to aim for. No excess fabric or billowiness. 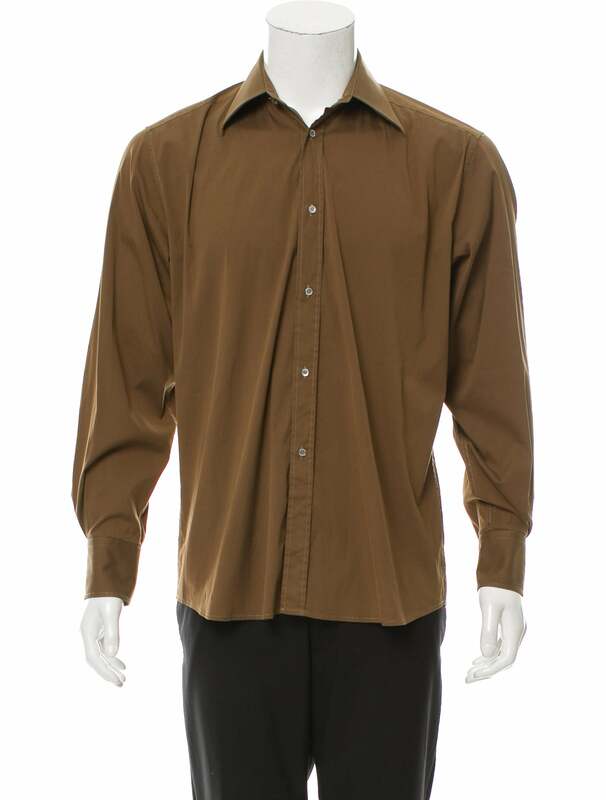 The length of the shirt will depend on how you want to wear it. If you are going to wear it untucked then the shirt should go no further than the middle of your fly. In this first look I’ve paired a Short-Sleeve Oxford shirt by J.Crew with a pair of their 770 Stretch Chinos in Catskill Green, a braided brown leather belt from L.L. Bean, Clarks beeswax desert boots, a Timex Weekender watch, and a pair of Ray Ban aviators. 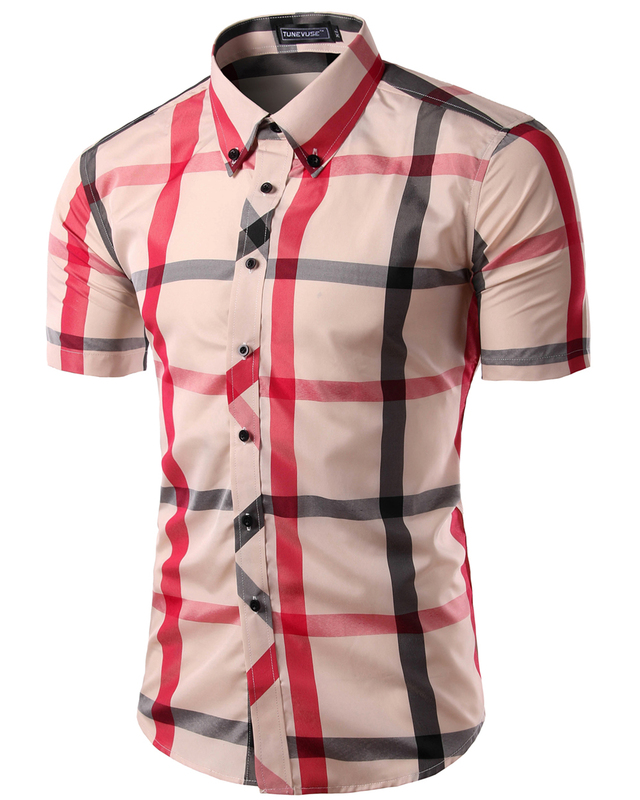 When most guys will be wearing baggy khakis and oversized polo shirts to office during the spring/summer you can wearing something like the above. Should you tuck in the short sleeve shirt? I’ll leave that up to you. In this particular outfit it can look great either way. In this second outfit I’ve paired the same Short-Sleeve Oxford shirt by J.Crew with the 7″ Baxter Short by Club Monaco, Grant Canoe Penny loafers by Cole Haan, and the same braided brown leather belt from L.L. Bean, Timex Weekender watch and Ray Ban aviators from the first look. Once again, I’ll leave it up to you whether or not to tuck in the short sleeve shirt. It can look great either way. And no, the inseam on those shorts is not too small. It’s a great way to show of your leg development. Most guys wear shorts that are much too long. A 7″ inseam is good for most guys. If you do end going with a pair of sneakers like the Stan Smiths make sure you pair it with canvas belt instead of a braided leather belt. In this last outfit I’ve paired the same Short-Sleeve Oxford shirt by J.Crew with a pair of dark wash denim by Olympvs, Liverpool Chelsea Boots by Allen Edmonds. I’ve also got the same braided leather belt by L.L. Bean from the first two looks, and a nice leather strap wristwatch by Orient. This is definitely my favourite look of the bunch. 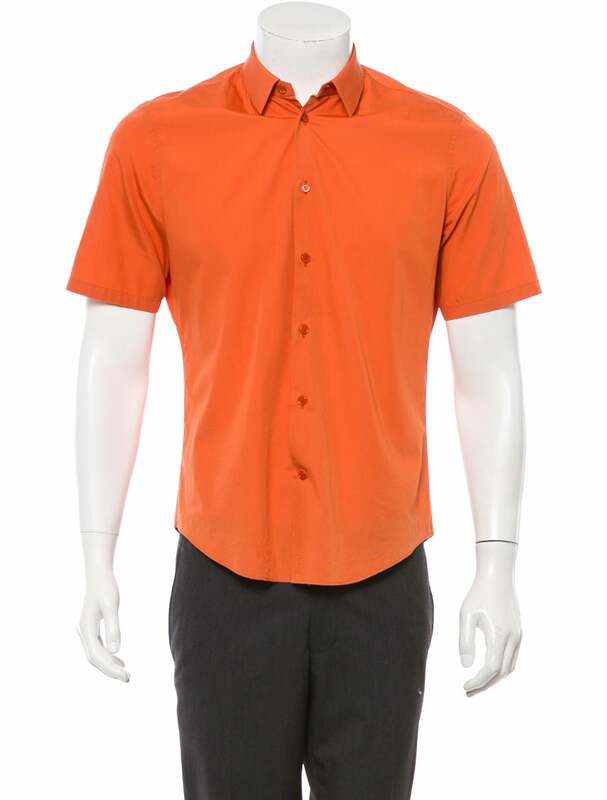 I don’t recommend tucking in the short sleeve shirt in this look but it’s still possible if you’re dead set on it. Should you wear a necktie with a short sleeve shirt? Some guys can pull it off but most of us end up looking silly or looking like we’re about to go postal a la Kirk Douglas Michael Douglas in Falling Down. 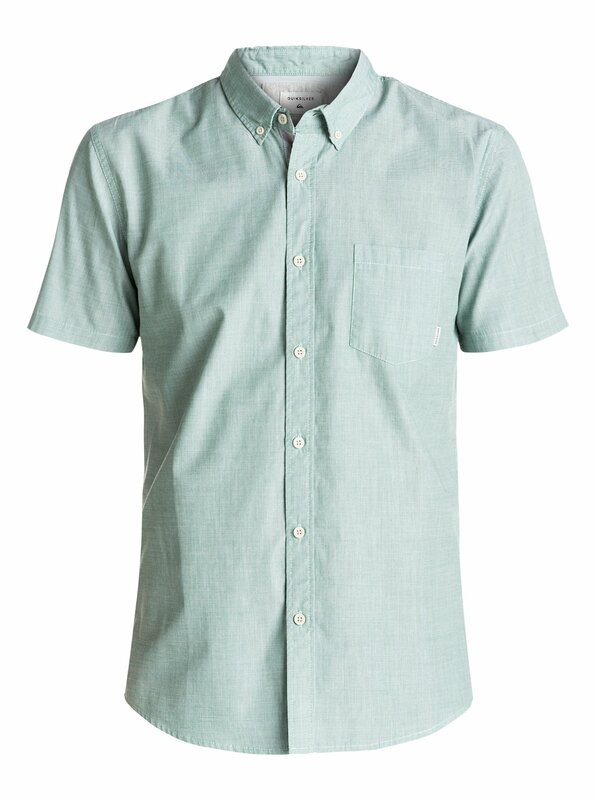 Short sleeve button up shirts are like the red headed step child of button up shirts. It’s unfortunate because they can look really good for the spring and summer months provided that you wear them well. The above examples are just a few ways you can wear them without looking like a big dork. Remember, the key is to focus on the fit. Once you’ve got that nailed down feel free to experiment by pairing them with variety of different pieces. P.S., if you like our stuff, be sure to subscribe to our site on the right sidebar for free updates (no spam), like us on Facebook, and follow us on Twitter.